Pink Ink and Polka Dots: Me, a Top Ten Blog, Oh My Word!!!! 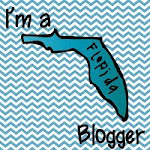 Me, a Top Ten Blog, Oh My Word!!!! I'm glad your doing well! You are the SWEETEST blogger ever:) You totally deserve the award! Oh Annie, Thank you so much! I don't know what I would do without Ready 2 Read!!! !